What Is the Minimum Federal Estate Tax Filing Requirement? Estate tax filing requirements change frequently and were on a graduated increasing scale until 2010. For taxpayers who died in 2010, the estate tax had a one-year sunset provision with no estate tax due. Part of what is known as the Bush-era tax cuts, Congress recently expanded these tax cuts for two more years. At the end of the two-year period, Congress will re-address the estate tax amounts and determine if they should be discontinued, modified or allowed to stay in place. Taxpayers who died prior to the estate tax sunset provision in 2010 have a graduated scale for which estate tax is due that depends on the year of death. For 2004 and 2005, a taxpayer owes tax if the estate is more than $1,500,000. The taxable amount for years 2006 through 2008 is $2,000,000 and $3,500,000 for 2009. The amount of tax due calculates on the amount the estate is over the exclusion limits. Taxpayers who died in 2010 have no estate tax due regardless of the amount of the estate. There are peculiar rules regarding allocation of cost basis and other items in 2010, so the Internal Revenue Service allows that the personal representative of an estate may elect to operate under either 2010 or 2011 rules for decedents who died in 2010. Regardless of whether the personal representative uses 2010 or 2011 rules, there is still no estate tax due. Electing 2011 rules has proved to be more favorable in most 2010 estates, and the paperwork requirements are less cumbersome. Congress elected to keep the Bush-era tax cuts in place until 2013, which leaves the taxable estate amount at $5,000,000 for taxpayers who die between 2011 and 2013. Congress will re-address the law in 2013 for future procedures. Tax due on estates for 2011 to 2013 starts at amounts over $5 million based on the graduated scale tax tables. For example, an estate of $7.5 million owes tax only on the $2.5 million, which computes to $1,025,800 tax due. What Is Virginia's Limit on Inheritance Tax? What Tax Form Do I Use to Report the Sale of Inherited Real Property? Is a TOD Account Taxable? Estate tax rules and regulations are among the most complex in the Internal Revenue Code. The law regarding estate tax constantly changes, and it is difficult to stay current with all of the changes. 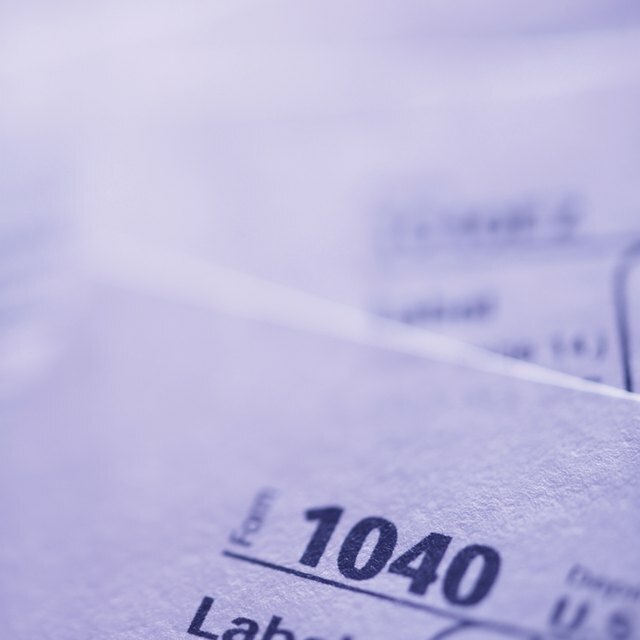 It is not advisable for a person to attempt to file estate tax returns without seeking the advice of a tax professional experienced in estate tax given the frequent changes to the Internal Revenue Code.